Starting a healthcare blog is super-easy and an excellent way of attaining more potential patients. But attracting the right audience who will consume your content, trust your practice and add to your conversion rate is very difficult. This goal is so difficult to achieve, most businesses that start blogs quit within the first three months. It is important to ensure that the content you are creating is moving the needle for your practice, driving conversions and resulting in a positive ROI. So, what is a healthy conversation rate for a healthcare blog? According to experts, it is somewhere between 2 percent and 5 percent. If you are already hovering around 2 percent, an improvement to 4 percent may seem like a massive jump. This means you will need to double your conversion rate. Well, even after you achieve this goal, you will still be stuck in the average performance bucket. Your blog traffic does not equal conversions. 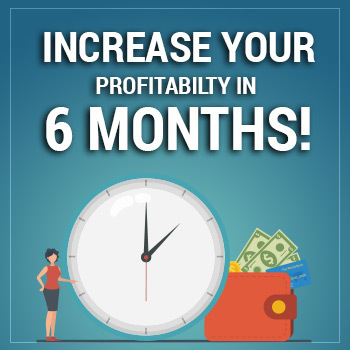 It is very much possible for you to get 5,000 unique visitors to your blog every day and never convert one visitor to a lead or a qualified lead to a paying patient. The worst thing about running a blog that attracts visitors but does not convert them to patients is that you are wasting your time, money and resources. It takes effort to bring traffic to your blog, so why would you waste all those visits? Improving the visitors’ experience and encouraging your prospects to perform the desired action takes even more work, but it is worth the results. Let us say 1,000 people are visiting your blog every day. Maybe your competitor has the same traffic numbers as you. But there is a difference. You are converting about 1.5 percent of your traffic, while your competitor is converting 5 percent of traffic. Now let us put these conversion numbers on product sales. Assume you and your competitor are selling a service for $25. Based on the conversion rates above, you are making about $375 on every 1,000 visits while your competitor is raking in close to $1,250. Did you see the difference? This is the reason you should be worried when you are getting clicks but no conversions. Why Are Your Visitors Not Converting? When you are getting loads of traffic but not many conversions, your sales will hurt big-time. No doubt. So what can you do about it? Finding the reasons for this problem is important. If you do not identify the root of the problem, you will forever be struggling with the same issues. 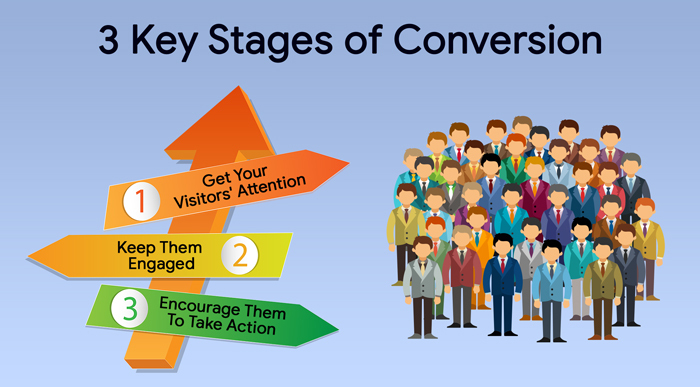 Here are the four reasons you are attracting visitors but they are just not converting. 1. Failing to identify your target audience: Running a thriving practice requires a strong understanding of your target audience. If you are like most practices, you already have a few patient personas sketched out, based on your existing patients. If you already have this information, it is a good start. However, because those personas are based on assumptions and guesses, they are qualitative. For your ideal patient personas to help your practice (and your blog), they need to stretch beyond basic generalities. You can do this by conducting market research of your unique products and services. This will give you an idea of how your target audience perceives your brand, what they want to read in your blogs and what their pain points are. 2. You are not attracting the right traffic: Acquiring the wrong traffic is likely the biggest reason your high-traffic blog is not converting. For your blog visitors to translate into conversions, they must be members of your target audience. Visitors who arrive on your blog after searching for relevant keywords are more likely to convert. So when you do your keyword research, try not select keywords based solely on competition and search volume. Understand the intent behind each keyword and focus on the ones that have the potential to attract qualified leads. A number of research projects have proved that search intent plays an important role in determining how likely your visitors will be to convert from any given keyword. Visitors who land on your blog after performing an informational search might be the least likely to convert. Still, attracting those visitors can help you spread the word about your blog and achieve your business goals. 3. You are not nurturing your leads: Nurturing your leads, or helping them move through the conversion funnel, is important. Even your most qualified leads will not be ready to convert immediately after reading your blog posts. If you do not follow up with your leads, only a fraction of them will take the initiative to continue engaging with your practice or revisit your blog. However, when you have a strategy in place for guiding them through the conversion funnel, you increase the chances that most of them will visit your practice. If you do not yet have a lead-nurturing strategy in place, you can use some of the popular channels such as direct mail, social media marketing, paid ads, live chat and phone calls to encourage more of your leads to become regular patients. 4. Your content is not compelling enough: If your goal is to create content that converts visitors to patients, then focus on writing content that provides the relevant information and answers your visitors’ questions. Your content should be so persuasive that the post takes them through the final stage and straight to scheduling the appointment with you. 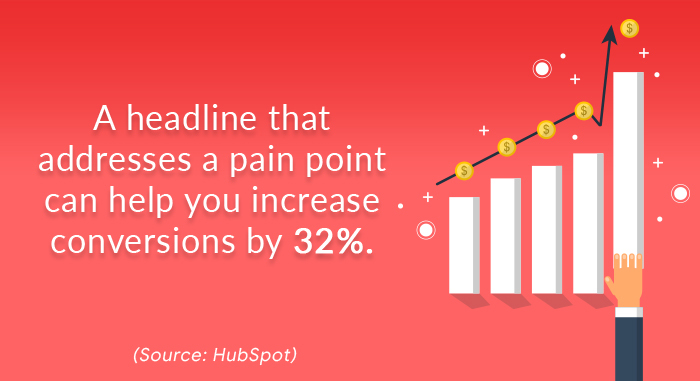 The best topics for driving conversions are those that help a patient overcome a pain point. Such visitors are already on the fence looking for a healthcare provider. While you must try to include detailed information about your services, it is also advised to leave room to include calls to action (CTAs). Your strategically placed CTAs will entice visitors to gain further information by completing the action – whether it is scheduling an appointment, downloading an eBook, signing up for a free consultation or joining your mailing list. How to Improve Your Conversions? 1. Presenting an offer that your blog visitors want. 2. Adding incentive to take the leap. On your blog pages, for instance, you can display products or services your target audience might like. That’s easy. But how can you make your offer look lucrative? Offering a discount or a free-service coupon to the first-time visitor might help. But if you are looking at a strategy that can increase your conversion rate, you need a lead magnet. It could be a downloadable eBook, a discount coupon, a free consultation or another incentive, but it must match the visitor’s needs. Studying data from the practice website can provide the most accurate information. It will be of great use to analyze what visitors do when they first arrive on your practice website, then pay attention to how they move from one page to another. When you closely analyze the reasons why your visitors are not converting, you will then be able to focus your time and resources on creating relevant content, redefining your target audience and nurturing leads into customers. Do not wait for first-time visitors to revisit your blog. Engage with them the first time and give them reasons to come back for more content and deals. They will gradually start to trust and value your knowledge, and you will be able to convert your blog visitors into regular patients.